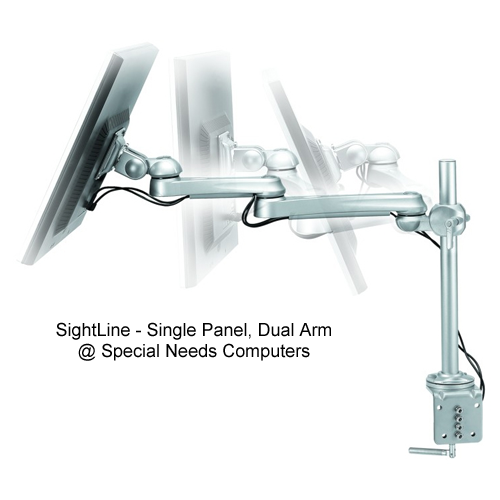 SightLine Series is our most cost effective, flexible and as a result popular lateral arm family. The possibilities are endless with SightLine, with multiple pole lengths and mount options available you can truly custom build your perfect monitor support. 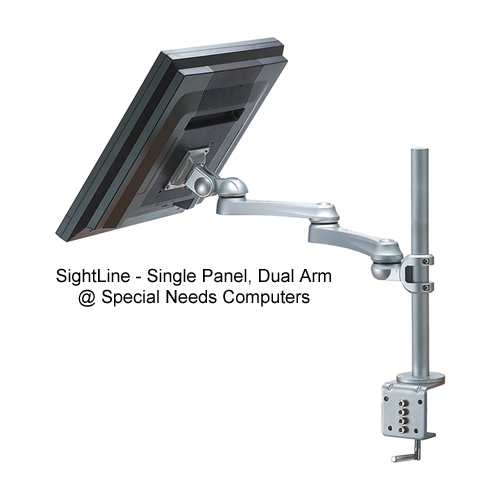 Whether your needs are single panel or a multiple screen array SightLine has everything you need. With clean smooth lines and integrated cable management the visual aesthetic will be just as pleasing as the ergonomic and productivity benefits. The SightLine single panel arm provides stylish and sturdy support for your single monitor. 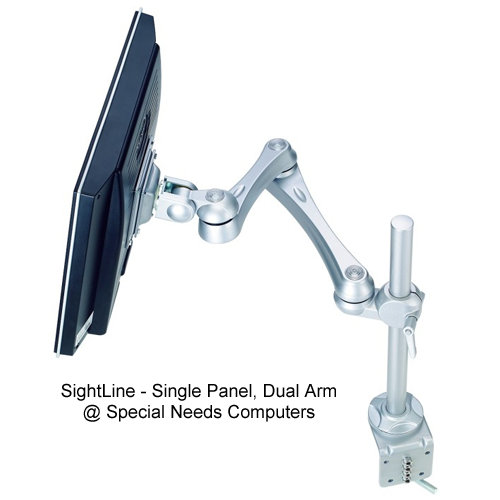 With its dual arm design this model provides great monitor placement possibilities whether you are looking for the perfect user location or simply moving the monitor out of the way for other tasks this is a monitor companion that will last for years to come.